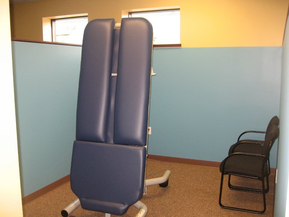 Thrive Chiropractic, located in historic downtown Dexter, Michigan, is focused on NeuroStructural Correction. Many things in our current society can lead to structural shifts which create a negative neurological response leading to a multitude of Secondary Conditions aka symptom expressions. Using specific and advanced technology we determine what is causing your problems so we can correct the cause of those conditions, not merely treat the condition. "Live the Experience, Feel the Difference". We proudly serve families from Dexter, Ann Arbor, Chelsea, Pinckney, and other surrounding communities and look forward to helping your family too!